According to one industry veteran, the cloud era is coming to an end. What business and IT leaders need to take from this provocative statement. For enterprise IT, the cloud has finally reached the tipping point. It is no longer a question of whether cloud is part of the strategic plan for most organizations, but simply when and how they will realize the move to cloud. If you’re an IT leader, however, you may not want to get too comfortable with your cloud strategy. Despite having just fully arrived in the cloud era, we are about to move on—at least according to Peter Levine of Andreessen Horowitz. As 2016 wrapped up, Levine gave a talk in which he made his provocative prediction: Cloud computing is coming to an end. Cloud computing coming to an end? Levine’s prediction is provocative. Enterprise executives are just coming to terms with the real implications of cloud on their IT strategy, so the idea that they are already behind the curve again is stark. Levine’s statement is guilty of a bit of hyperbole, as I’ll explain in a moment, but business and IT leaders should pay close attention to this prediction. Levine’s premise is that while the industry has been rushing to push data and compute to the cloud, a new generation of edge devices and edge strategies has been exponentially growing in both compute and storage power—upsetting the balance and shifting the focus from cloud back to the edge. The edge he is referring to is a combination of smart devices and sensors, self-driving cars, drones, robots and everything else covered under the large umbrella called the Internet of Things (IoT), along with mobile devices and even traditional web browsers. But this is where the hyperbole comes in because he isn’t saying organizations will abandon the cloud and push compute and storage exclusively back to these devices—just that certain specific aspects of compute and storage will move back to the edge. Or perhaps it’s just a hybrid ecosystem? What Levine describes, in fact, is more of a complex, hybrid ecosystem that leverages compute and storage at every stage of the data workflow—wherever it makes the most sense and provides the greatest value. Using the autonomous vehicle as an example, he explains that it may generate as much as 10GB of data for each mile driven. That data will be stored within the vehicle, processed and used immediately, because it’s needed in real time. Only those data elements that can improve algorithms or are beneficial for analytics or other uses will move to the cloud. Processing-intensive activities, such as machine learning, will occur within the cloud, and the resulting data will be fed into the broader ecosystem for analytical correlation, related transactions and the like. It makes perfect sense, but I’m not sure I’d characterize it as the end of cloud computing. Nevertheless, it does represent a rapidly developing future, as a host of both new and existing vendors develop edge-focused technologies. These developments mean IT leaders need to pay attention and start adapting their strategies to account for this new approach. The starting point of this process is to begin imagining what it means to push your compute closer to the edge—and closer to your customer. This push to the edge will naturally dovetail with your burgeoning IoT strategy. You’re working on one, right? But as you develop your IoT strategy, it demands that you move beyond thinking of your smart devices as merely data collection agents and instead begin to think about how you can create richer engagement at the edge. 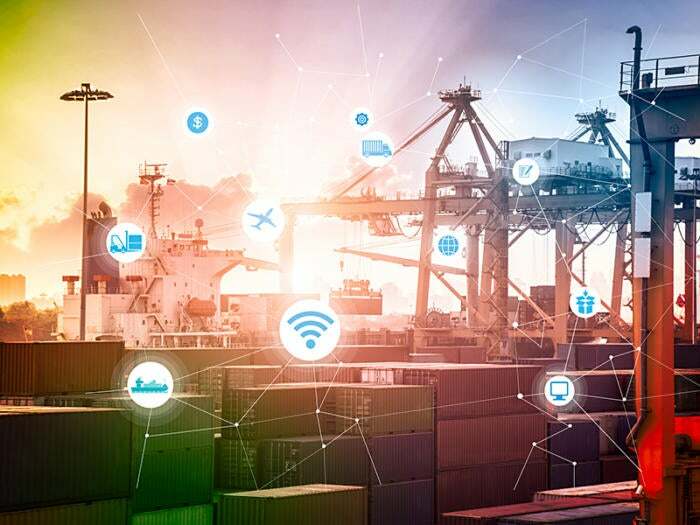 Companies such as Greenwave are developing technologies that enable manufacturers to embed analytics directly onto their smart devices to enable sophisticated, real-time data analytics and data mining at the edge, allowing organizations to respond and react more quickly. At the other end of the spectrum, companies such as Instart Logic are looking at the browser as a richer computing platform and leveraging it to transform how content providers deliver content. They have developed what they call the Nanovisor, a web application virtualization component that they inject into the browser to virtualize and take control of the underlying browser resources. Their Nanovisor communicates with their cloud-based platform. By operating within both the edge and the cloud, leveraging compute resources within both layers, they can provide an additional layer of services and monitor transactions on an end-to-end basis—neither of which they could do if they were operating solely within the cloud. Cloud is not dead. But we are seeing a re-envisioning of the role edge devices will play in our hybrid future—and it will change the role of the cloud and how you approach it. Business and IT leaders need to understand the impact of this shift and begin adapting their strategies accordingly. The bigger message, however, is more fundamental. In the digital era, the only thing you can count on is that you will be in a constant state of change. As I wrote recently, "The essence of digital transformation is the destruction of the static state.” You may as well get used to it. Disclosure: As of the time of writing, Instart Logic is an Intellyx customer. None of the other organizations mentioned in this article are Intellyx customers. Charles Araujo is an industry analyst, internationally recognized authority on the digital enterprise, and author of The Quantum Age of IT: Why Everything You Know About IT is About to Change. As Principal Analyst with Intellyx, he writes, speaks and advises organizations on how to navigate through this time of disruption. He is also the founder of The Institute for Digital Transformation.